This study was conducted in animal farm belonging to Animal Production Department- College of Agriculture - AlQasim Green University using 24 Awassi male lambs at 4-6 months of age and mean initial weight of 20.59 kg, to investigate the effect of ensiling and level of urea (0, 1 and 2%) on ruminal fermentation characteristics. Results pointed out that pH was increased (P<0.01) due to ensiling, values were 6.91 vs. 6.71 for silage and reed respectively, yet it was not affected by level of urea. Higher (P<0.01) value of ruminal NH3-N was detected in samples withdrawn from lambs fed read treated with a high level of urea as compared with untreated reed silage (10.21 vs. 11.05 mg/100 ml for silage and reed respectively). Total volatile fattty Acid (TVFA) in the rumen was not affected by ensiling (5.67 vs. 5.65 mmol/100 ml) and level of urea treatment. Untreated silage and reed treated with 2% of urea recorded higher pH and NH3-N concentrations respectively. Higher pH and TVFA were recorded in samples withdrawn before feeding to be decreased at 3 hours post feeding.Then it was decreased after 6 hrs. NH3-N oncentrations while recorded higer level in samples withdrawn 3 hours post feeding, then it decreased at 6 hours post feeding, however, it was still higher than those recorded before feeding. H. Hussian and A. Saeed, “Effect of Ensiling and Urea Treatment on Nutritive Value of Wild Reed (Phragmites Communis) in Awassi Lambs Feeding 3- Ruminal Fermentation Characteristics”, JUBPAS, vol. 27, no. 2, pp. 244 - 251, Apr. 2019. 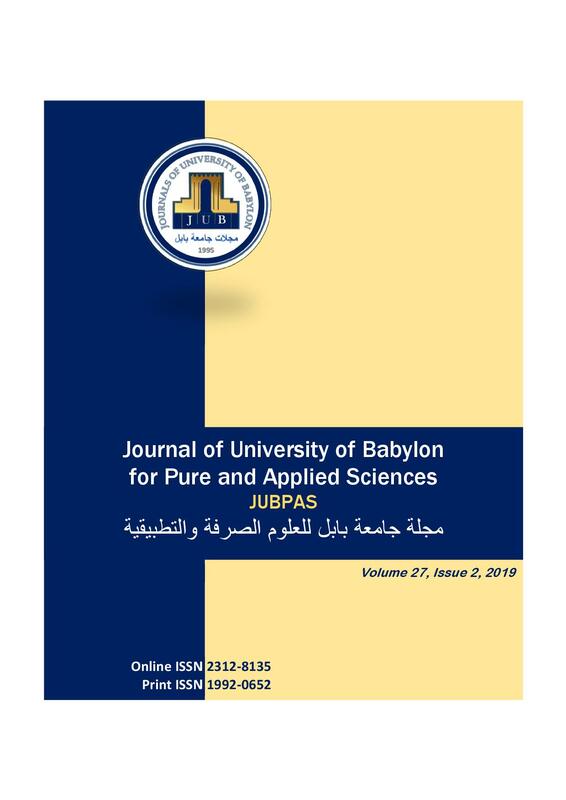 Journal of University of Babylon for Pure and Applied Sciences (JUBPAS) by University of Babylon is licensed under a Creative Commons Attribution 4.0 International License.